We have moved in to our new place for about a month now, and it is not hard to guess which part of the house is our favourite. We spent a lot of our time at the (both dry and wet) kitchen preparing food, brewing coffee, flipping our recipe books and also sorting out our junks stuffs because we have so much of storage space. Tons and tons of pull out drawers and shelving units, I’m not complaining because I am a fanatic unclutterer! A lot of you have been asking us who installed our kitchen and how much does it cost. Read on and you shall find out! (Almost) everything from our dry and wet kitchen came from IKEA! Why IKEA? Even before we started our home renovation, we knew that the kitchen is going to be the heart of our house. We wanted to build our dream kitchen and it is now a reality. So we went around asking for quotations from contractors, kitchen specialists and interior designers; but IKEA kitchen solution is by far the least expensive option. 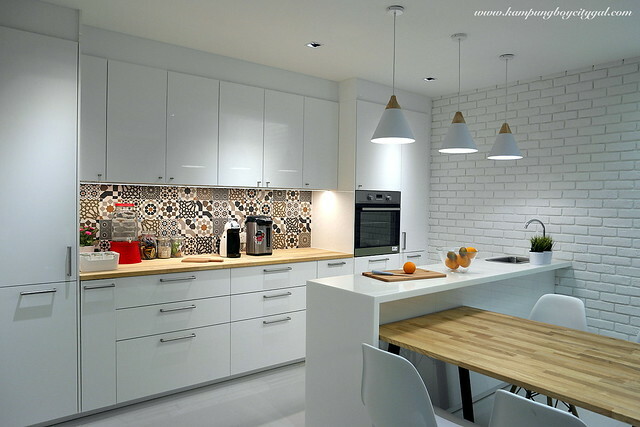 Our dry and wet kitchen cost about RM 22,000 (all in with sinks, taps, cabinet lightings and etc). 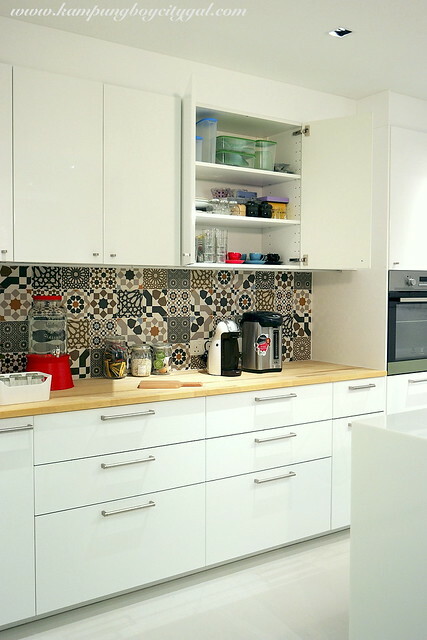 We use IKEA kitchen solution for our previous home as well, and they have held up well over the years. With the money saved, we splurged on kitchen appliances such as an Electrolux oven and Whirpool hood & hob. Admit it! So many of us visit IKEA’s store for “inspiration” and try to recreate that same design with non IKEA products. 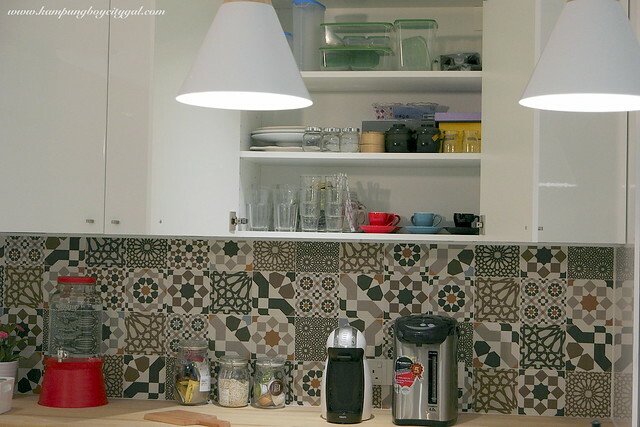 We really love IKEA’s kitchen idea, and the design comes in many styles. I have to say that the IKEA showroom and catalogues provide us with a spark of inspiration and, ultimately, influence the design of our new cooking zone. 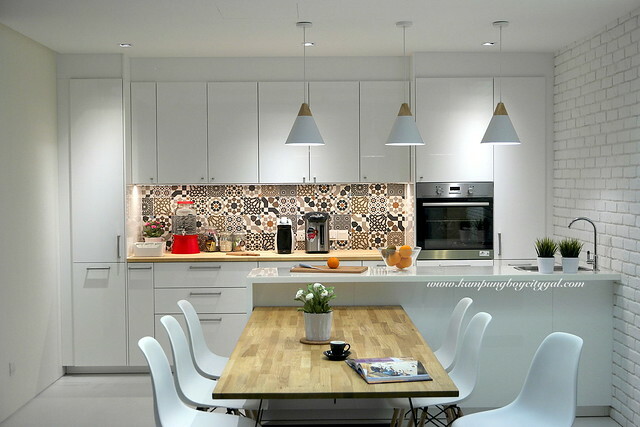 Since it is easier and cheaper to use IKEA kitchen solutions, just “study” the design and buy from IKEA la! 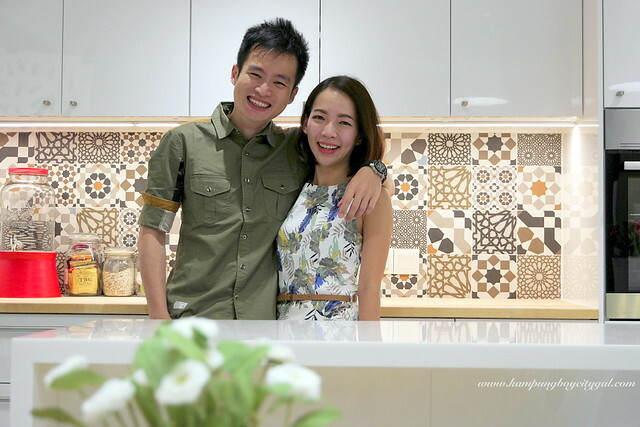 One of the reasons why IKEA kitchen solution comes with an unbeatable pricing is because you as the consumer need to (sort of) come out with the measure, plan and design yourself with some help from IKEA staffs. 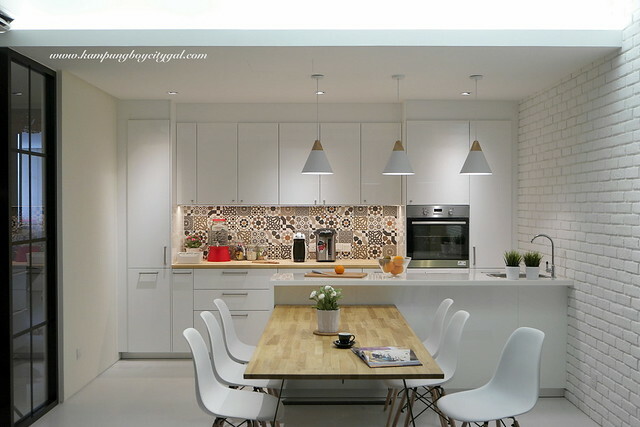 We like the freedom to create and choose our own kitchen design from the color of the cabinets, material of the kitchen top, down to what kind of hinges to use, how many drawers we need and how many shelving units to put in. The new IKEA METOD system is completely modular, which means that we can buy them in any configuration to help help us squeeze the most out of every centimetre of kitchen space and adapt them according to our design style. The possibilities are endless and the cabinets fit our place just nice! #4 It’s All about Interior Fittings! First of all, all our cabinets and drawers feature soft closing hinges, so there is no banging. We have plenty of drawers and shelving units installed, but how to organise our stuffs and maximise our storage space? 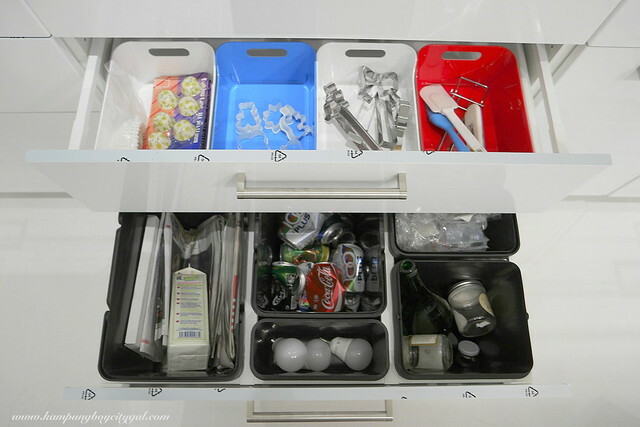 IKEA Kitchen interior fittings turn the messiest drawer into an organised space. From recycling bins, cutlery tray to slide-out metal storage rack or slide-out platform; these will fit your cabinets or drawers perfectly. 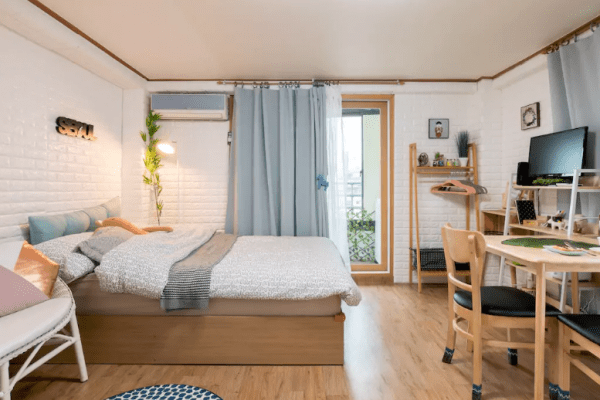 The best part is even if you don’t have the budget for interior fittings now, you can always get it at a latter stage because everything will just fit in seamlessly. IKEA offers you a 25 year guarantee that covers manufacturing and material defects on the METOD kitchen system. All kitchen mixer taps have a 10 year guarantee. Need I say more? We chose the Ringhult white high-gloss cabinet to create a modern and bright space. We also use this set of beautiful ethnic tiles from Kimgres. Those tiles were so beautiful that just a simple mix and match can create a very beautiful and unique backdrop. Drop by Kimgres showroom to browse through their extensive selections of tiles now. Their sales assistants are very helpful and friendly too. KARLBY solid wood worktop is chosen to bring a warm, natural feeling to the stark white space. I also like the fact that wooden worktops will age gracefully if you treat them regularly with wood treatment oil. The oil protects the wood from marks, stains and cracks, and prevents water from penetrating the surface and destroying the wood. If the surface looks a little tired and worn after some time, you can give it a real face-lift by sanding and oiling it. It will be like new. 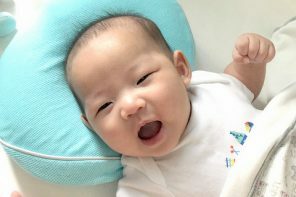 So easy to maintain! For our kitchen island top, we made to measure an acrylics solid surface top (orders made via IKEA). Our top came in a L-shape piece, and if you look closely, everything is cast in one piece, with no seams. The smooth, poreless surface is easy to keep clean as I have always wanted a top where I can roll doughs (sheepish grin). 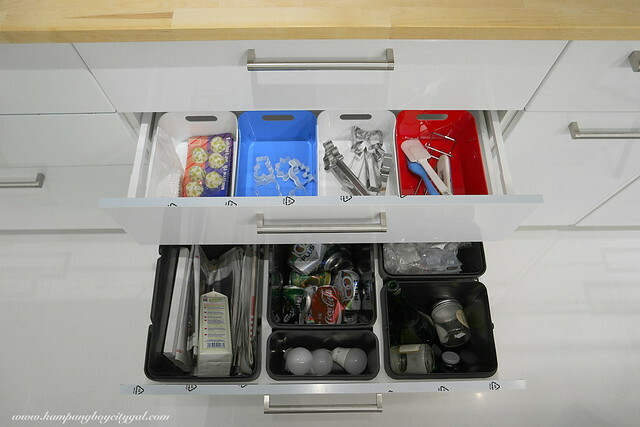 The great thing about the METOD kitchen system is that it’s your storage – your way. I love looking into my tidy and organised cabinets. It makes me feel like a very successful housewife! My other cabinets are still empty, I’m waiting to fill them up slowly. One of my favourite interior fittings is the VARIERA waste sorting bin. Even our waste looks so…organised. 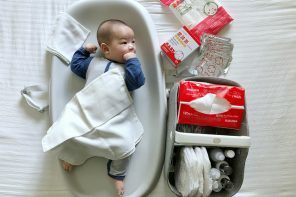 With the implementation of the mandatory household solid waste separation programme, it is time for us to small our play parts. Now we can dispose of garbage and recyclables easily and hide them all inside the drawer. 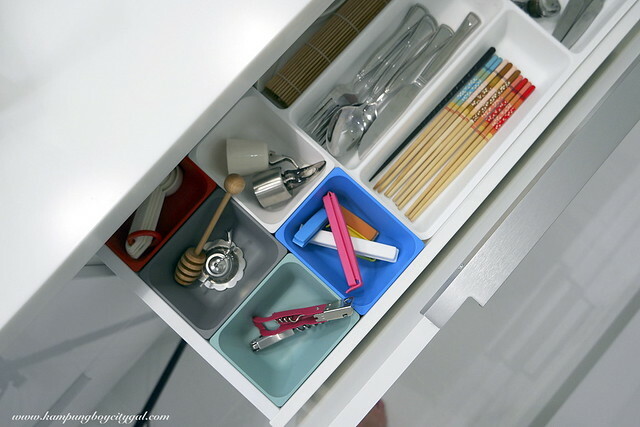 When organizing cabinets, I want everything to be easily accessible in order to save time. A good idea is to group like items together in small bins and the VARIERA boxes is very useful in keeping my baking utensils in order. Drawers within drawers and within doors? Our kitchen looks and sounds so “canggih” with the MAXIMERA drawer. 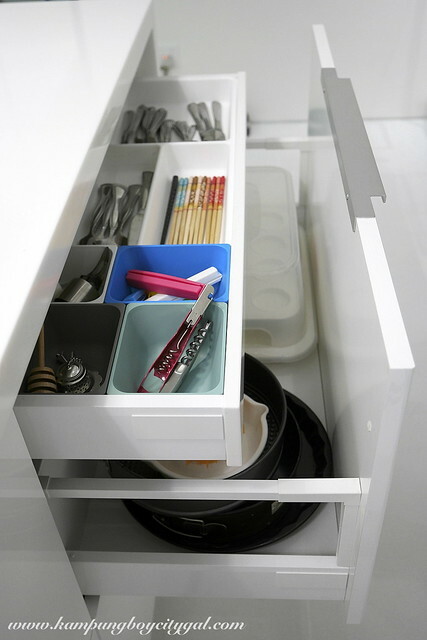 Its sliders allow the drawer to extend further way out of the cabinet too. What makes a kitchen great is how you organize it. 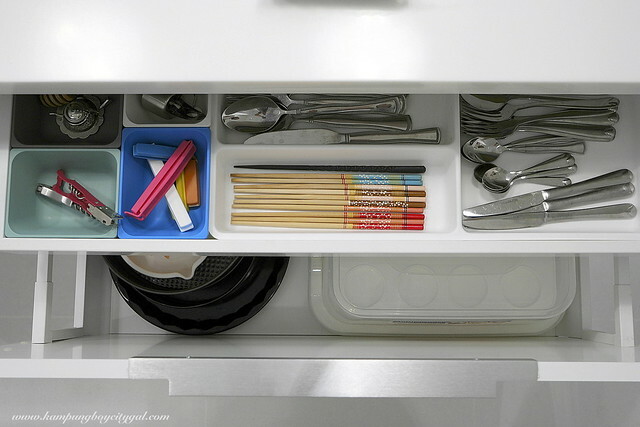 The VARIERA cutlery tray makes it easier to organise my cutleries and find what we need in the drawer. The VARIERA boxes are ideal for storing small items like rubber bands and spices. They also come in different mood-lifting, happy colours. 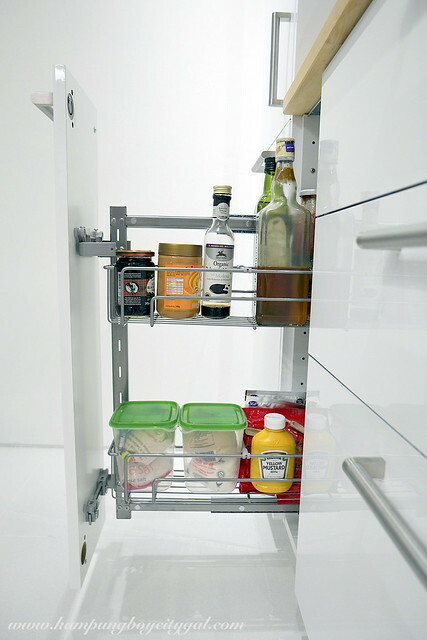 The UTRUSTA pull out interior fittings is perfect to store my condiments, sauces and jams. 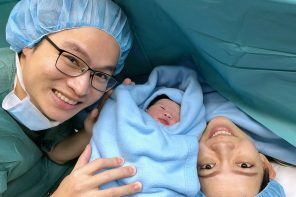 Next Up: KBCG New Crib: Wet Kitchen as well as A Step by Step Guide to Build Your Dream Kithen. We have so much to share, tips and advises base on our own experiences.